Wedding is the most important event in the life of every person. Astrologers advise with maximum attention to approach the choice of the date of the wedding, guided by the lunar calendar. Earlier we wrote about which days would be favorable for weddings in terms of religion, Eastern philosophy and folk signs. This information will help you plan your wedding in the future. And for those who are planning to get married in June, we have prepared a lunar calendar of weddings for this period. June 2, 3 and 30 These are the days when the moon interacts with the sign of Taurus. On each of these days, the Moon will decline, making this duet even more attractive. The very essence of Taurus seems to hint that these days will be better than others for the conclusion of a spiritual union in this hot month. Taurus makes marriage even more enjoyable because of its philosophy and view of life. Taurus is very honest and extremely loving, which will promise a union concluded on June 2, 3 or 30, great luck. Such love will last a very long time, but only with sincerity. Marriages of convenience will have no future. Virgo is wise, intelligent and honest — almost as much as Taurus. June 11 and 12 will be as favorable for any business as the days of the interaction of the Moon with Taurus, but for the wedding they are even better in some way. These days the moon will grow, so any update will benefit. Taking relationships to a new level is what matters most during such periods. Virgo is unique in its outlook, in its attitude, in thoughts and rules. It gives strength to all who are accustomed to reason, accustomed to act as it will be convenient for everyone around. 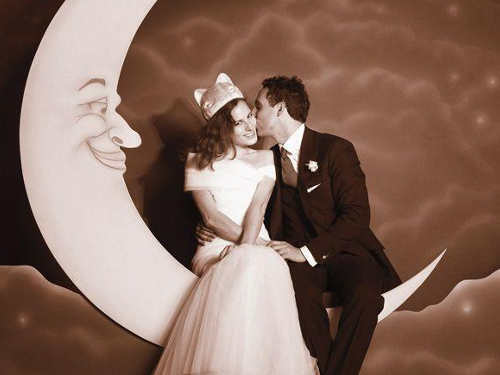 Read our article about what days are considered favorable for a wedding in terms of astrology. This is a helpful article that will give you lots of tips on this topic. June 6 — Moon in Cancer. Incredibly strong family energy will unite all the people united by a great and bright event. This wedding will be remembered by all for a long time. June 16 — Moon in Scorpio. The union of Scorpio and the growing Moon is not always good for a wedding, but this time everything will be more than perfect. In the future, a couple who marry on such a day will wait for mutual understanding, a large number of common interests, and the passion between them will not fade. If you are unable to set the time for one of the above dates, do not worry, as astrologers say that any date in the period of the rising moon is perfect for your significant event. In June, it will be days from June 6 to 19. One way or another, but the whole of June will be much more favorable than the previous months in terms of the lunar calendar. This period is as if created for marriages, for important matters and in order to keep good luck always with you. We wish you a happy wedding, great love and endless joy. Read about the signs of a summer wedding to be fully prepared. Do not let even the little things disappoint you and make you worry.